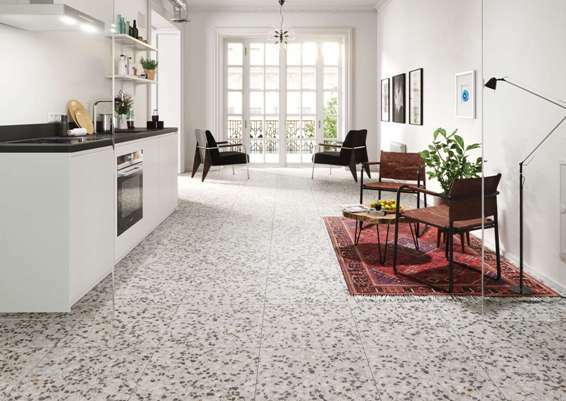 One of the trends seen at the Cevisama tile fair in Spain was the Venecia Terrazzo look porcelain tiles. 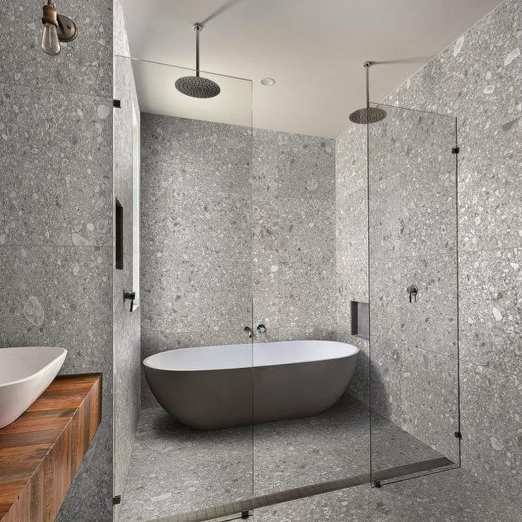 A look of exposed aggregate as in polished concrete floors, that can be used in so many ways. 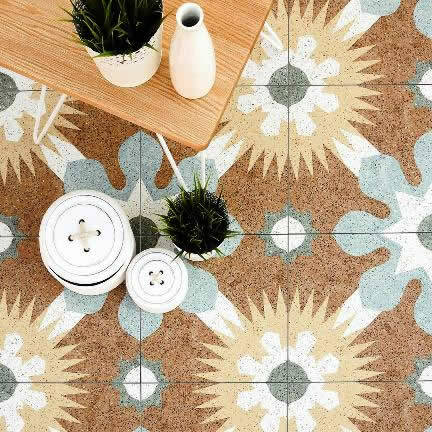 So traditional but at the same time such a contemporary feel to it as well. 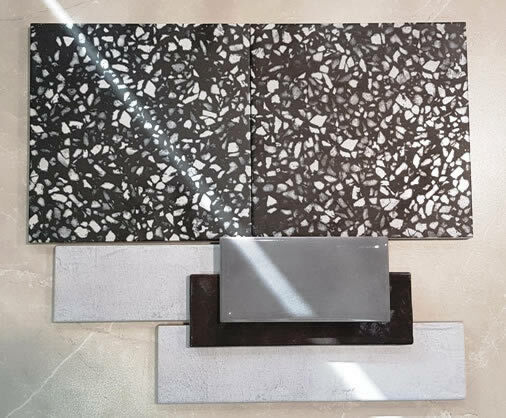 These amazing replicas give you the look of terrazzo without the purchase and installation costs. 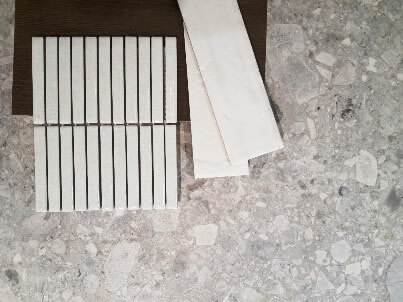 As they are glazed porcelain tiles up keep is at a minimum as no sealing is required. 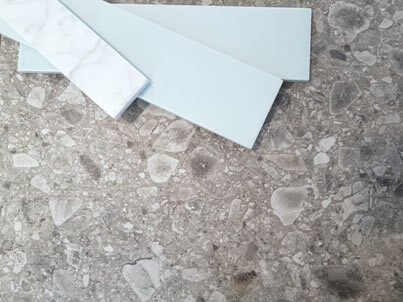 Different ranges come in both semi polished finishes as well as hi slipped rated R11 model. 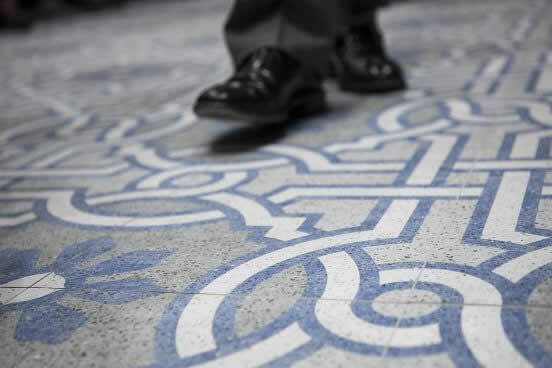 The key in replicating the look is the detail of the digital print. 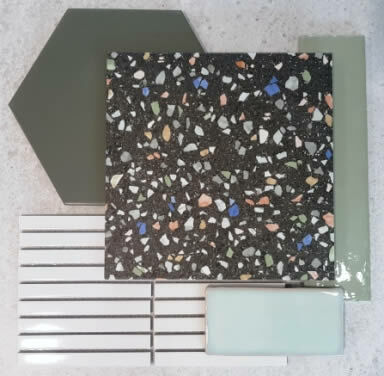 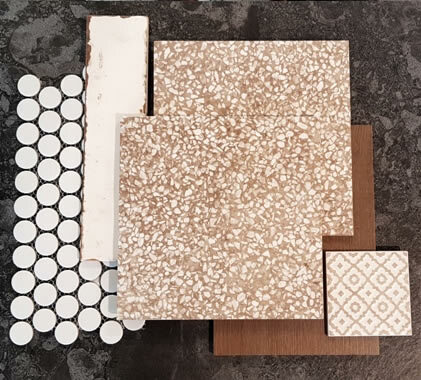 Not only does the print need to be clear and sharp, but the print must vary from tile to tile to look as true to the real terrazzo as possible. 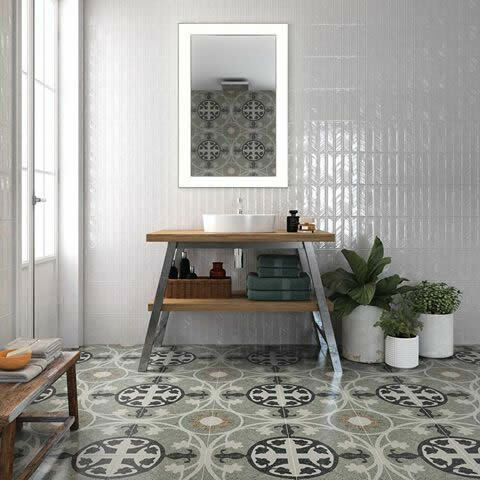 Take for example the Ofelia tile directly below. 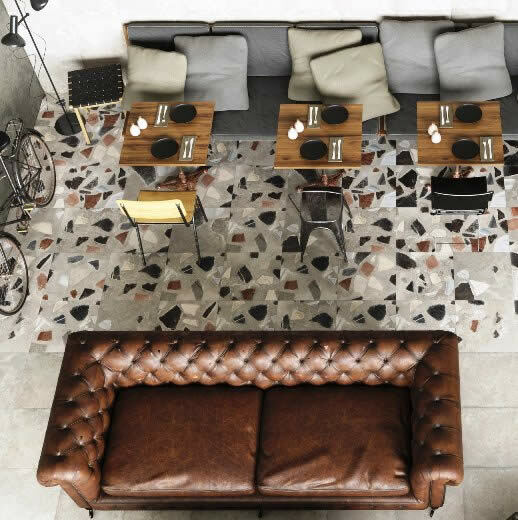 This is an amazing replica of Brecciato Veneziano from Venice. 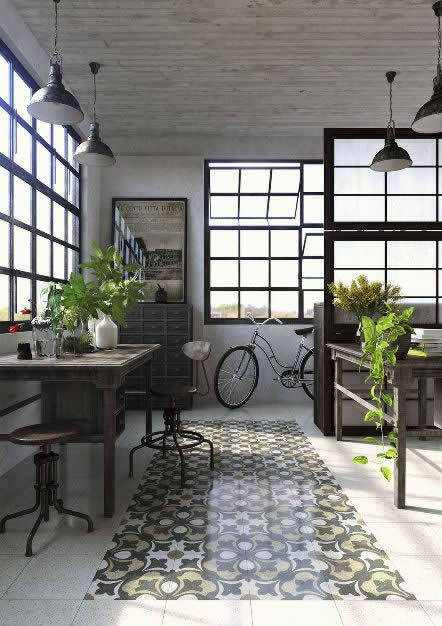 With this tile there are 25 variations making each piece look unique and individual. 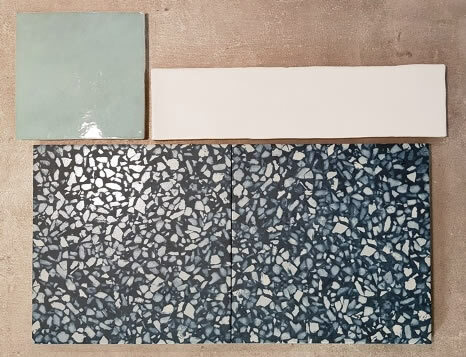 Other ranges replicate the traditional patterned in laid terrazzo floors. 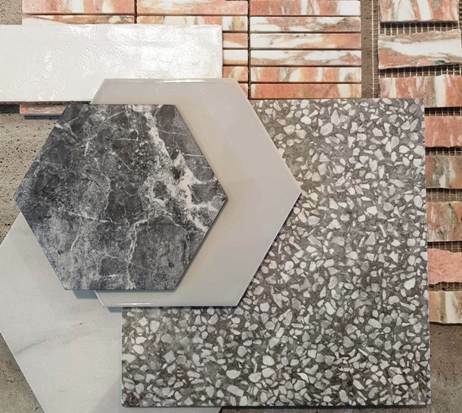 All our Terrazzo inspired porcelain tiles, wall tiles are on display at our Leichhardt showroom in Sydney's inner west. 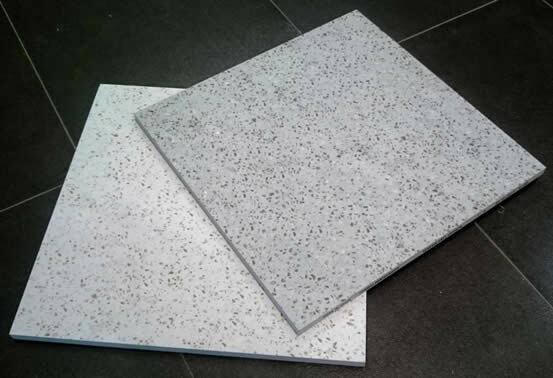 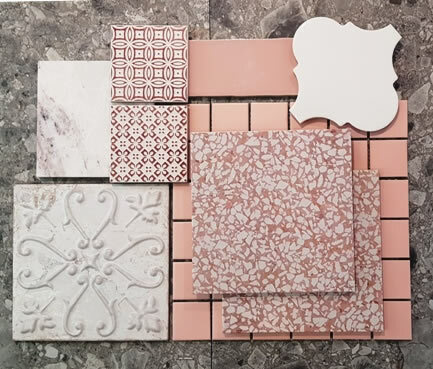 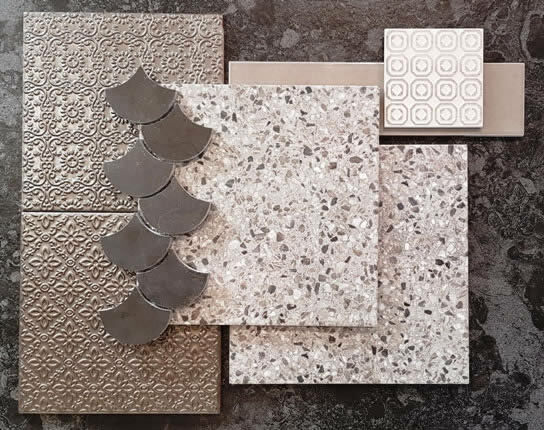 Kalafrana Ceramics Sydney has on display an exclusive range of terrazzo look porcelain tiles. 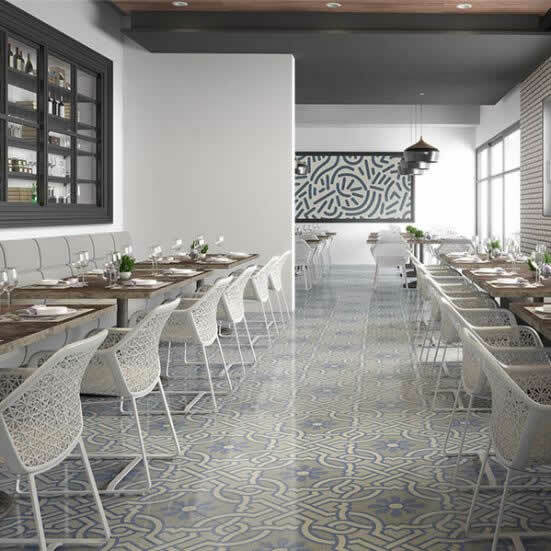 We import our own exclusive Spanish Terrazzo look tile lines.